We love when we get to capture the seasons in our products. 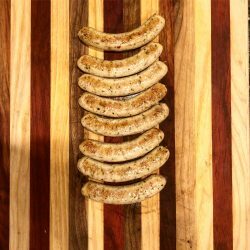 The first sign of Spring is our chicken ramp sausage. 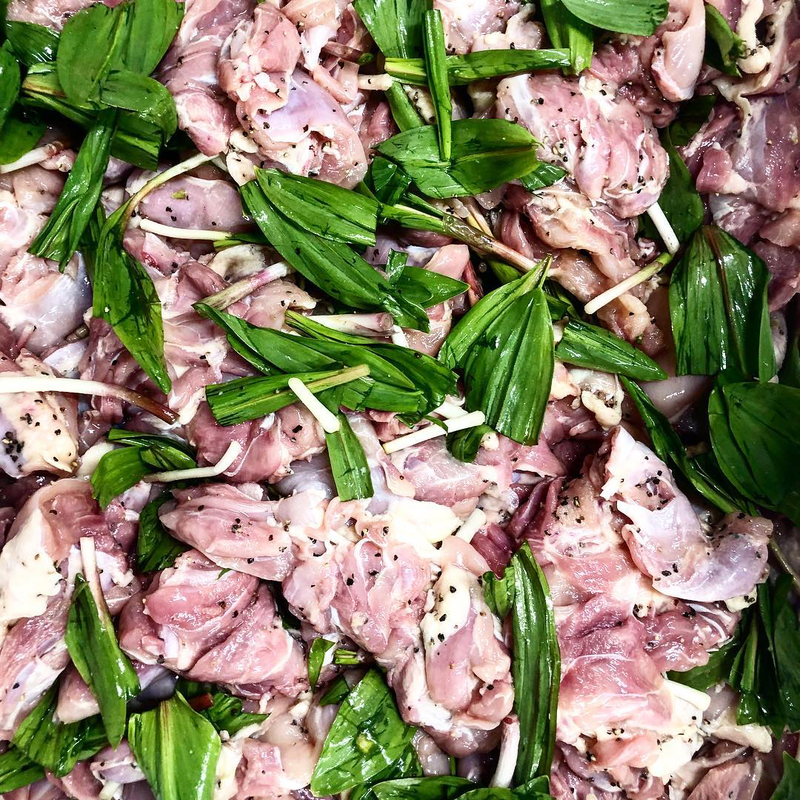 We use Gunthorp Farms pasture raised chicken and blend it with mild seasonings and ramps! Ramps are wild leaks found all over the forests of Indiana. The flavor is a cross between onion and a mild garlic. 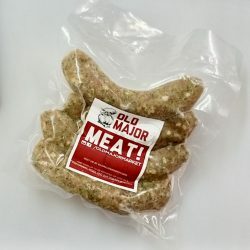 There is an umami quality in the green leaf which gives this sausage a complex almost asian flavor. 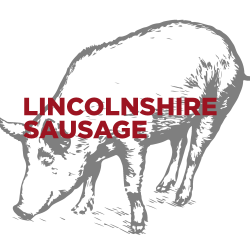 This sausage lasts as long as the ramps are in season so don’t wait too long! When the forest canopy comes in, the ramp sausage goes away for another year. 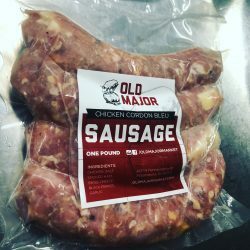 Old Major Chicken Ramp sausage comes in one pound packages!